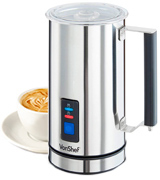 It is a highly user-friendly unit owing to its dishwasher compatible detachable frothing jar and frothing discs. And a special storage on the back of the base will keep the frothing attachments safe in place. A lovely milk frother will surely become a favourite kitchen appliance of every coffee lover. You can easily diversify favourite hot and cold drinks of your family creating new flavours by adding some cocoa or syrup through the lid. Thanks to the patented dual-speed motor with overrun protection, you will always get the perfect thick foam and hot milk without burning. It has no angled spout, so milk might drip a bit when you pour it. 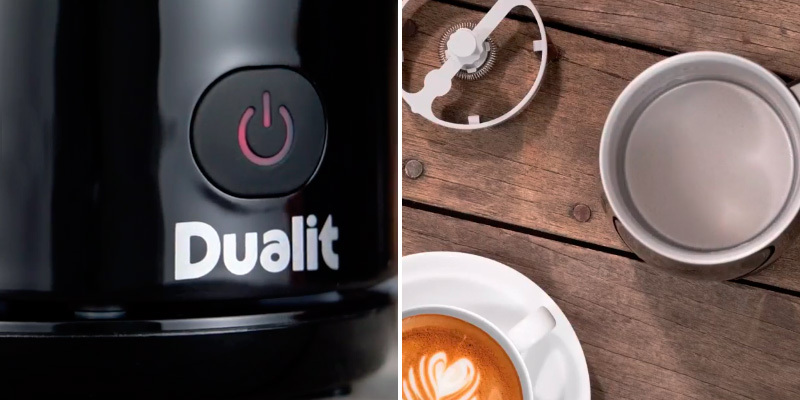 The Dualit 84135 will be an excellent addition to your coffee machine. 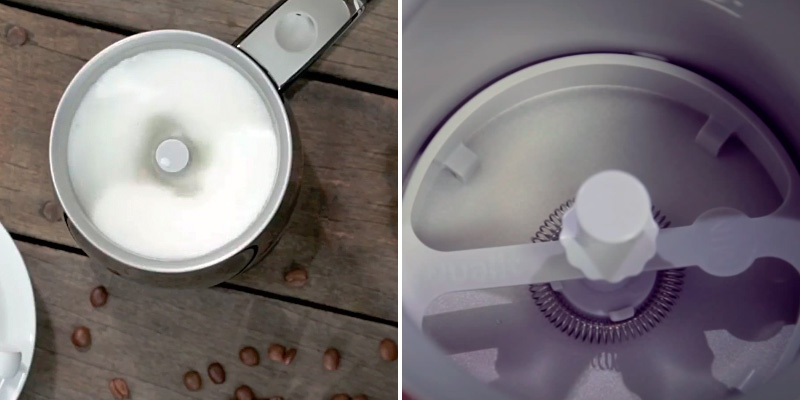 This milk frother has a sleek-looking casing with non-heated walls. And its capacity is enough for two cappuccinos, hot chocolates or lattés. 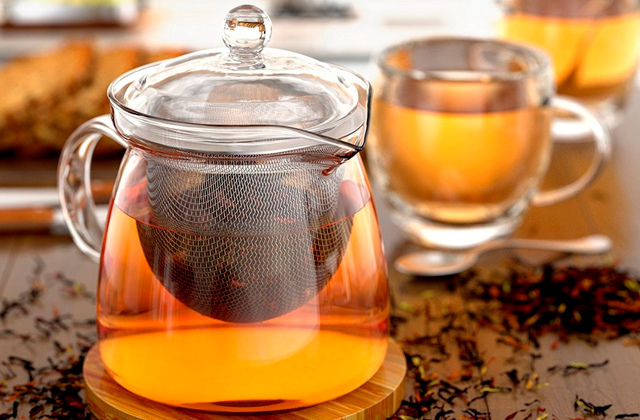 A heat-resistant lid and handle along with double-wall carafe will protect you from burns. A silicone ring shall be removed for every cleanup. And the ring is pretty tight. This top notch frother will become a lucky find for real connoisseurs and lovers of coffee drinks with fine milk foam topping. This compact unit with a premium lid to store a spare whisk will make a perfect froth in a matter of seconds. The set includes two whisks for heating and two whisks for frothing. This way, even if you lose some whisk, you won't need to pay for an additional pair. 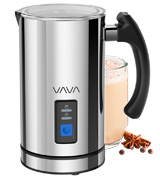 The VAVA automatic milk frother is the great value and works really well. When it makes rich and foamy froth, it's ultra-quiet, so it won't disturb your family members while you're preparing perfect morning coffee. A hard-wearing storage tube and battery operation will allow you to take this high-end unit to the picnic, BBQ party or any other outdoor event. Milk heating is not available. 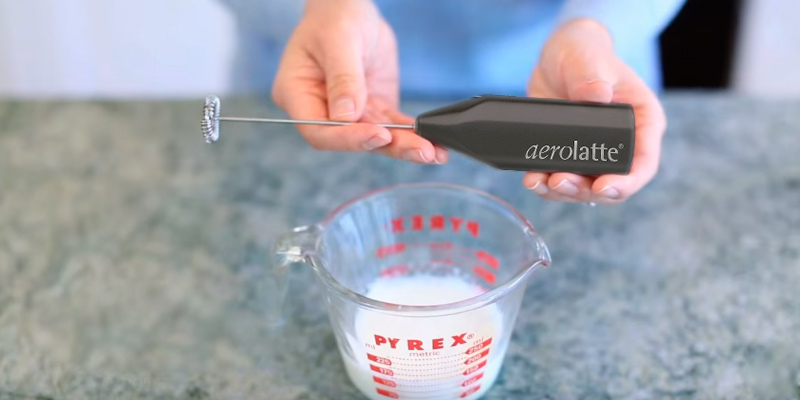 The Aerolatte frother enables you to froth milk to perfection as well as make delicious soups, sauces, omelettes and desserts in a matter of seconds. It is a real find for any kitchen. 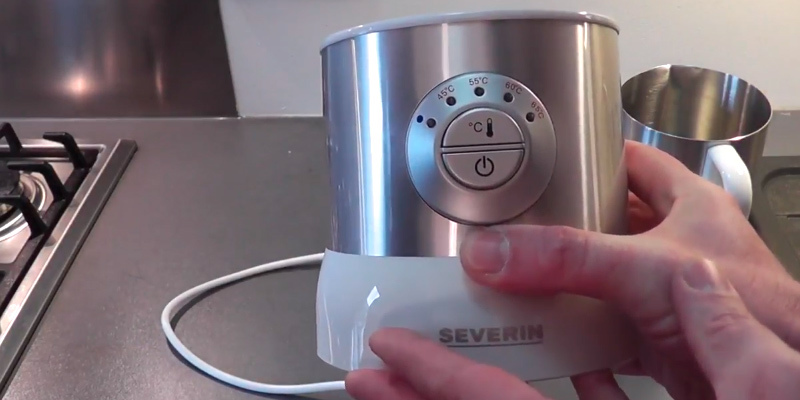 Severin 117840B Milk Frother is an eye-catching automatic unit that definitely stands out from other models thanks to a unique induction heating technology. It is an innovative approach that makes the unit more durable and offers extremely quiet operation. This remarkable gadget can easily froth 100-350 ml and heat 100-700 ml of milk. Such jug capacity is enough for both individual and family use. Enjoy the morning silence sitting in a cosy atmosphere of your home with a single cup of velvety-smooth cappuccino or make a variety of hot coffee drinks or icy milkshakes to delight the whole family. With a pretty high capacity, this induction milk frother may seem a bit less powerful than other automatic models. But it is fully justified by the amount of milk the unit can froth to the perfect foam to your exact preferences. 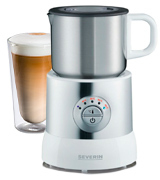 Severin 117840B comes with two easily interchangeable frother heads that are designed to either stir or froth the milk. It also has a convenient storage section around the back of the base which can accommodate the unused frother head to ensure it never gets lost. Hence, this model packs all the great features of a good frother. 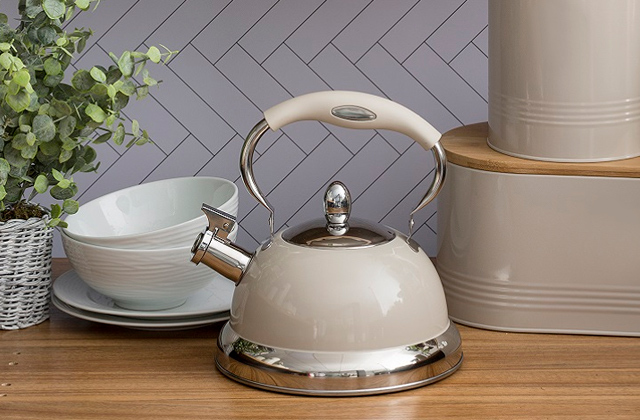 A notable milk frother boasts a beautiful and compact design that will fit onto even the most crowded kitchen worktops. A durable stainless steel jar, the lid, and frothing heads are dishwasher safe that makes cleaning a breeze. The control buttons allow you to select one of the preset temperature modes to heat the milk up to 45°C , 55°C , 60°C, or 65°C. And a convenient LED indicator will show the temperature setting. This stylish and functional milk frother will be highly appreciated by families with kids. During the process of frothing, you can open the lid and add some chocolate powder or sweet syrup. Your little wonders will adore an appetising hot chocolate, cocoa, or yummy milkshakes with specific flavours. 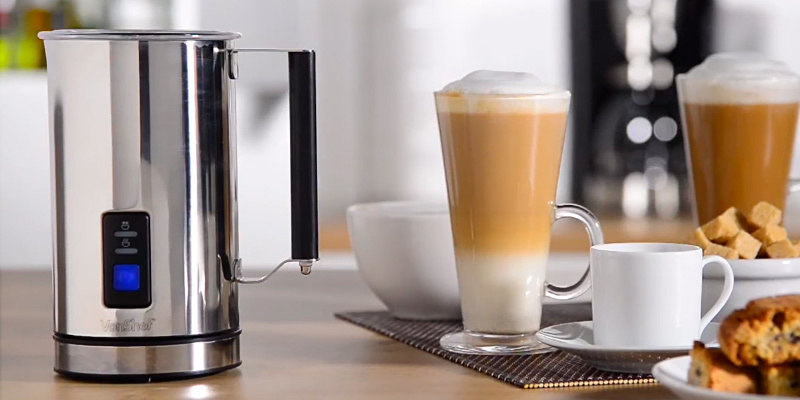 Whether you have a thing for a hot cup of cappuccino or a lovely latte with froth, this induction milk frother will deliver brilliant results and let you enjoy cafe-style coffee at home. 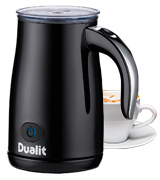 This sleek-looking black milk frother from Dualit is a fully automatic unit that offers triple function capabilities. With the press of one button, you can preheat your milk to the required temperature as well as prepare hot or cold frother. 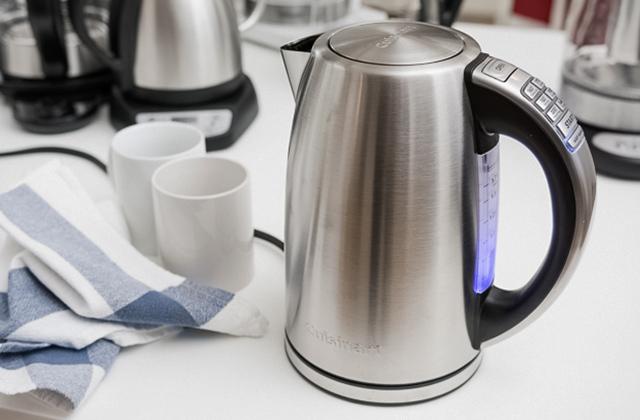 When the jug kettle reaches the perfect temperature, it switches off automatically, which is a great safety feature. If you want to get your milk frothed, you just need to put a small frothing mechanism inside the unit. The stylish cordless jug has non-stick rubber feet, so you can safely put it on the table to share hot creamy coffee with your friends or family. The jug is a bit bigger than a travel kettle but it's much heavier and feels very solid. 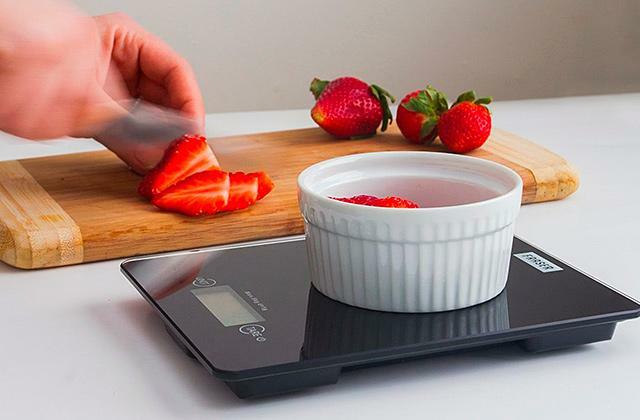 It has a clear lid allowing you to watch the process. The Dualit 84135 milk frother has enough capacity for making two delicious cappuccinos, lattes, hot chocolates in one go. With this great capacity and excellent functionality, you can easily make professional-quality coffee, hot chocolate, and even tasty milkshakes during hot summer days. Overall, this compact milk frother will be a great addition to any kitchen and coffee machine. Equipped with a patented dual-speed motor and a patented magnetic removable whisk, this milk warmer is extremely quick and reliable. It can automatically choose the right speed for your desired drink. 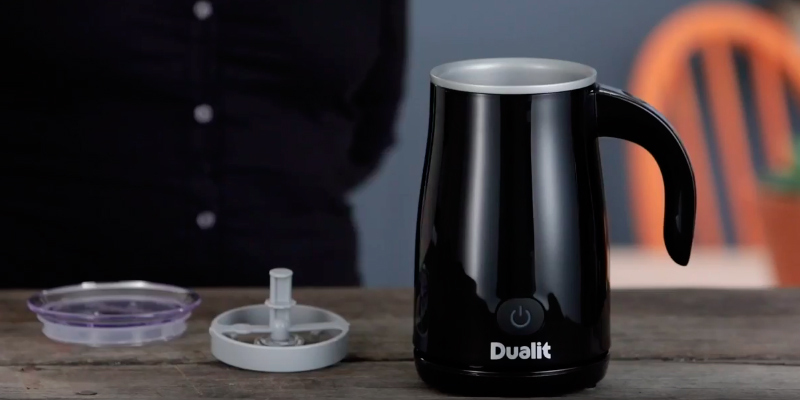 The Dualit 84135 can heat milk or make cold/hot froth in just 70 seconds. And all at the press of a single button! When you open the top, you'll be definitely pleased with how frothy, fluffy and creamy your milk will be. Almost like a creamy mousse. This milk jug has a smooth non-stick interior and a removable whisk, which means that cleaning will be a hassle-free process. And we would like to note that the magnetic whisk gives a fully sealed drive, ensuring smooth functionality and simple cleaning - no spills and other issues. Yet, the best part is that the motor has a temperature control and prevents milk burning. Also, the unit switches off automatically once it's done. The frother delivers a cordless operation, so it can be placed on the base at any rotary angle or taken straight to the table. Being quick, functional, and convenient to use, the Dualit 84135 milk frother will find its place in any household. 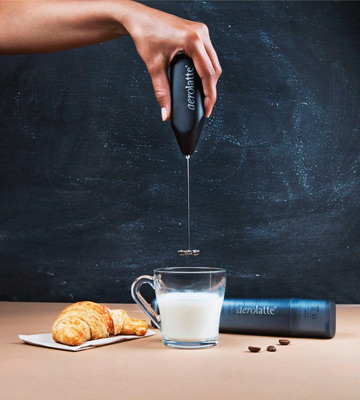 Become an at-home barista with an amazing VonShef milk frother. This model is an outstanding choice for a daily domestic use. Owing to min/max fill lines inside the jar you will easily pour the right amount of milk. An automatic milk frother allows you to froth 115 ml or heat 240 ml of milk to create beautiful drinks worthy of any top coffee shop. Such capacity is enough for making two big cups of mouth-watering cappuccino or latte in a comfort of your kitchen. 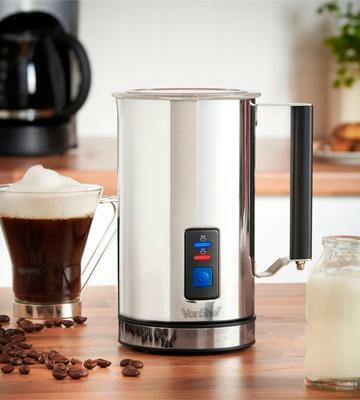 Despite its compact size, in 65 seconds this speedy kitchen appliance will transform the milk into a bubbly frothy base for your choice of hot drink. The unique design features two interchangeable whisks. 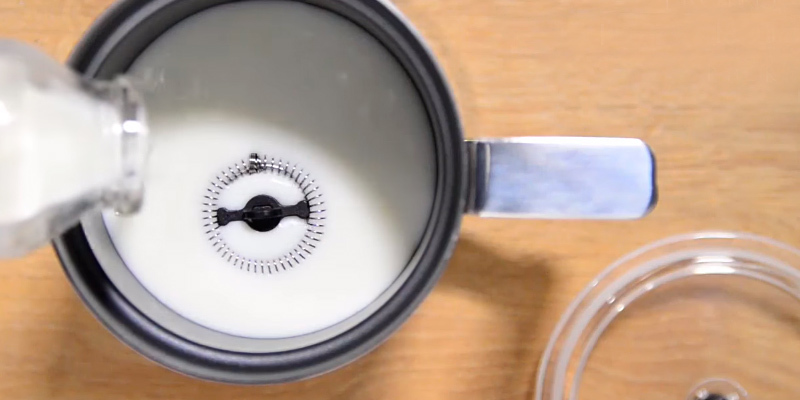 A wire accessory is perfect for frothing and a plastic attachment is intended to stir the milk and prevent it from scorching while being heated. Each whisk head is easily popped in and out of the machine and you can conveniently store the spare head on the lid. 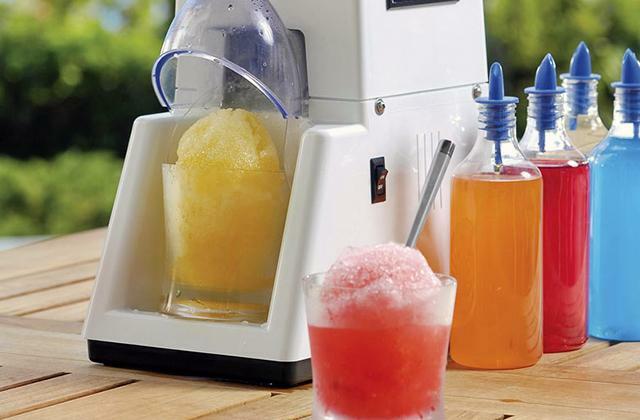 With this magnificent gadget, in a matter of minutes, you will find yourself sipping a delicious cafe-style drink in a comfy atmosphere of your home. VonShef 13/085 Electric Milk Frother boasts a well-built and solid design. 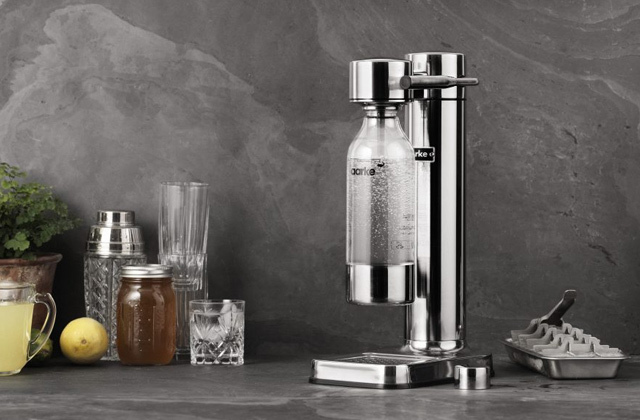 A high-quality double-wall stainless steel carafe will not only keep the airy frothed milk warm but also make the unit safe to handle after use. This milk frother comes with simple intuitive controls to select the operation mode, 2 light indicators signalling when the milk is ready and a handy auto switch-off option. 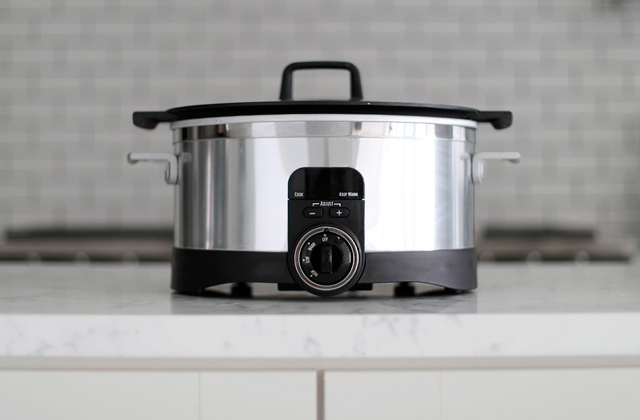 A heat-resistant lid and handle add to the safety of this user-friendly unit. And silicone feet ensure steady carafe position on almost any surface. But what really sets this milk frother apart from other models is that you can make a fragrant hot chocolate by mixing the chocolate powder or shavings into a hot froth! Thanks to a perfect combination of simplicity and versatility, this superb milk frother will please all coffee fanatics. 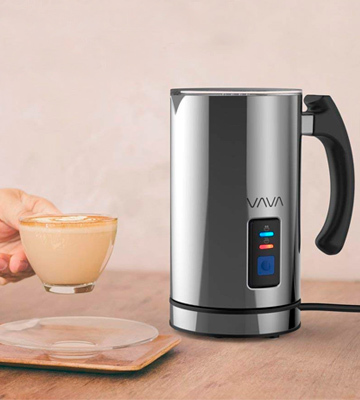 Although VAVA isn't a well-known company, it offers you a very competitive frother for a very reasonable price, which has quite a lot to offer. To begin with, the jar is made of high-quality stainless steel and has a Teflon covering that won't contaminate or leave harsh elements in your milk. Plus, it has a handy indicator guide inside allowing you to pour the right amount of milk. The markings show you the minimum level of liquid, the maximum level for frothing, and the maximum level for heating milk. 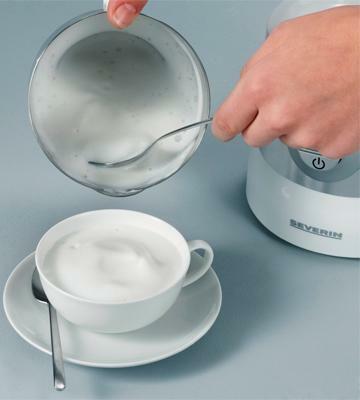 As you've probably guessed this automatic milk frother can not only froth but also heat your milk. 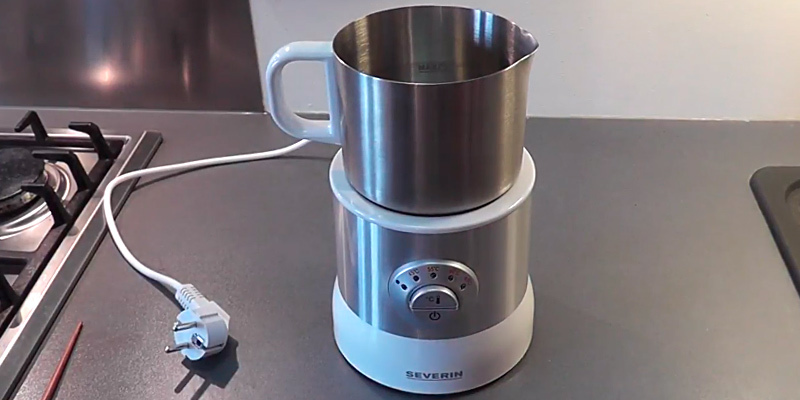 And while most other models only let you add heat, this one has the option to make cool, warm, or hot froth for cappuccinos, lattes, macchiatos, flat whites, chocolate, and more delicious drinks. The milk capacity for frothing makes 115ml, while the milk capacity for heating is 240ml. It's quite enough for you to enjoy cool iced coffee during hot summer days and sweet hot chocolate during winter. 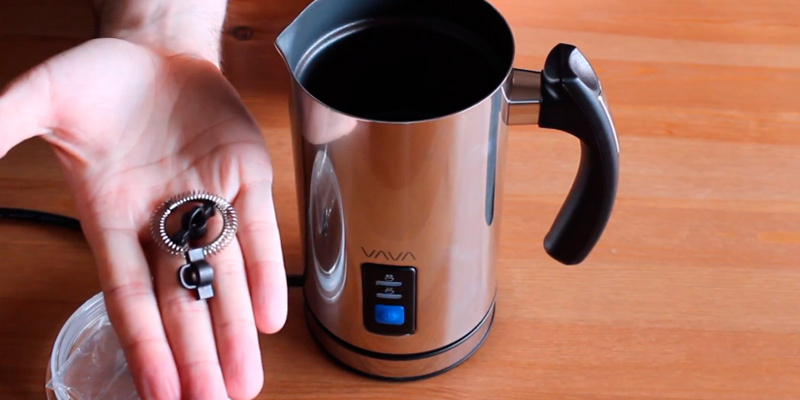 Unbelievable, but this tiny appliance heats and froths milk up just in seconds. 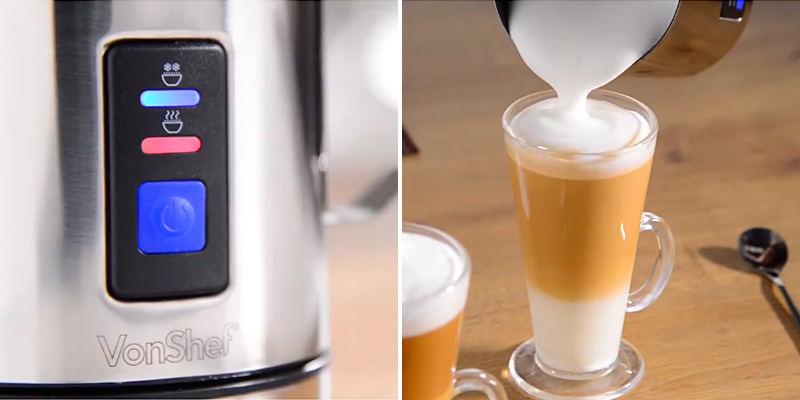 In less than a minute, you'll get the ideal froth for your cappuccino or macchiato. And what is notable, the frother works extremely quietly. Thus, you can have a peace of mind that your family members will remain undisturbed, while you'll make rich and foamy froth for your coffee. 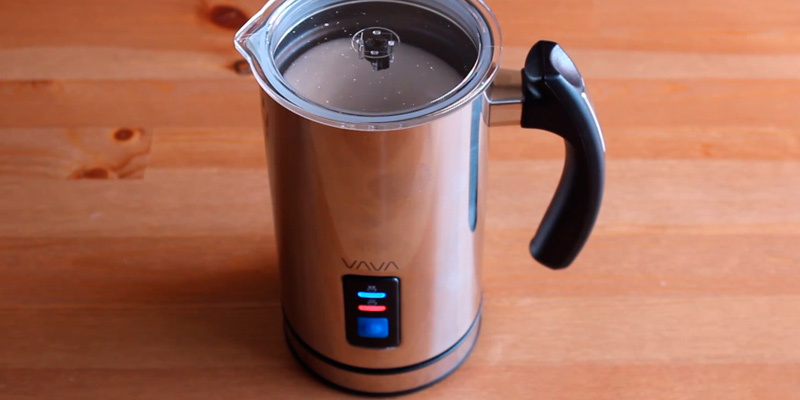 The VAVA electric liquid heater is supplied with an additional set of whisks. The package includes two whisks for heating and two whisks for frothing, so the manufacturer saves you from the trouble of ordering new ones if you somehow lose them. And you can always keep one whisk attached to the clip in the lid while you're using another. All stirrers can be easily pulled on or off. One more highlight of this frother is its internationally recognized strix temperature controller that ensures safe use. 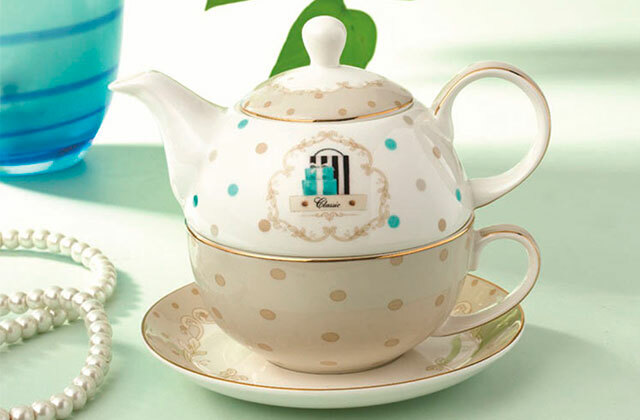 Moreover, you won't face any spillages as the jar has an angled spout guiding the milk exactly where you need. 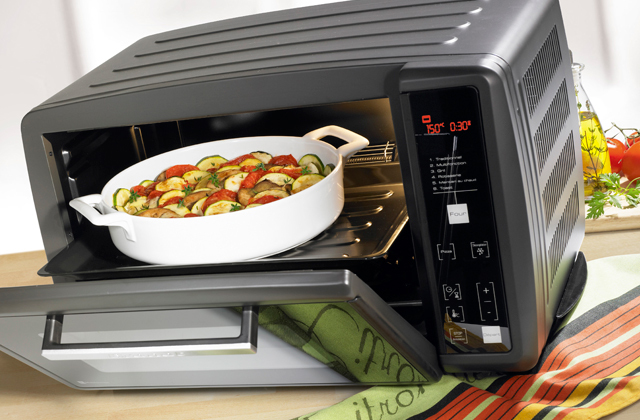 As for cleanup, it's a hassle-free process since the item has a non-stick coating. So, nothing can stop your desire to become a perfect barista for your family. 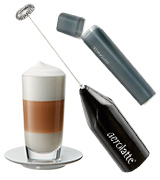 The Aerolatte 56ALTGBK Milk Frother is a hand-held frothing wand. It comes ready to use with 2 AA batteries and features mixing operation principle with a special customised whisk producing a creamy froth in almost no time. This wonderful unit is not confined to the milk amount that is definitely a nice benefit. Most often users froth the hot milk right in the cup adding the coffee afterwards. And if you are longing to get a cup of cappuccino with steady foam peaks juts use the spoon to put the froth on top. This compact unit throws away the misconception about low performance of manual frothers. It will impress you by powerful operation frothing the perfect milk foam for two cups of luxurious coffee drinks within 20-30 seconds. The shaft and spiral whisking head are made of high-quality food-grade stainless steel ensuring durability and promoting effective frothing. 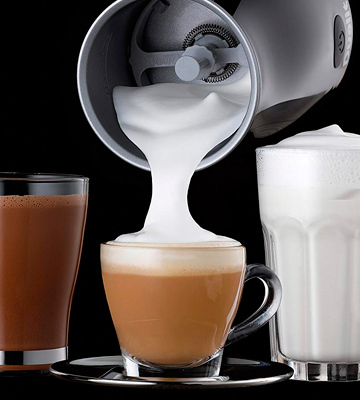 No doubt, regular gourmet coffee fans will be delighted by the excellent milk froth for cappuccinos, lattes, mochas and specialty coffees they can make with this fantastic gadget. Designed with simplicity and efficiency in mind, Aerolatte frothing wand features an operation so simple that even a child can cope with it. 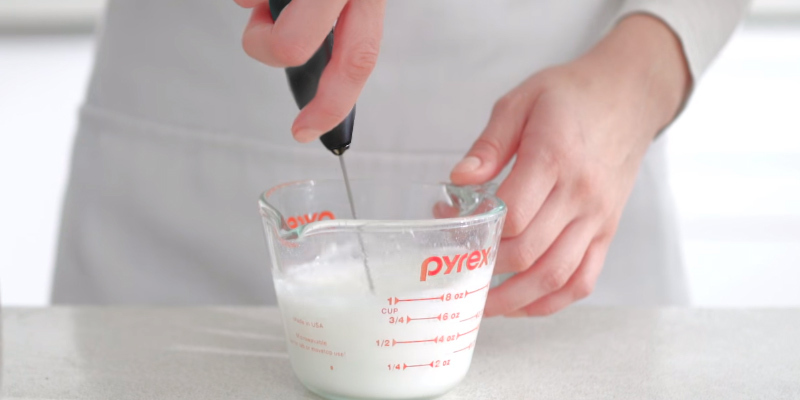 To make a foam just dip the whisk in milk and turn a single control button. Yes, it is that easy! Though it does not heat milk, this tiny inconvenience is overcompensated by a myriad of other purposes this frother can be used for. Although primarily intended for whisking milk, this unit is ideal for concocting a variety of unmatched hot and cold drinks and even for preparing food. Experience your Aerolatte frother and make delicious soups, savoury sauces, salad dressings, omelettes, custards, and desserts! 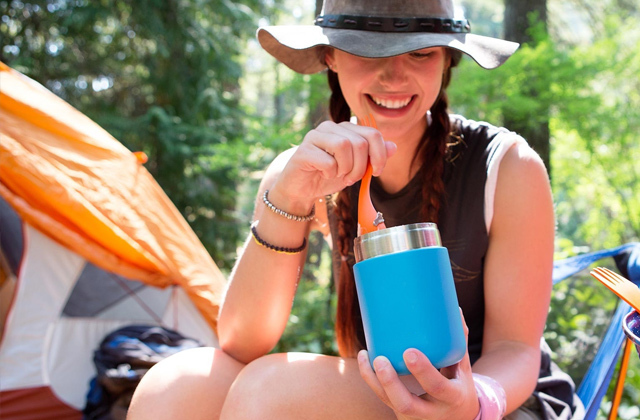 Besides, the protection case is convenient to take it to the picnic, camping trip, or any other outdoor event. 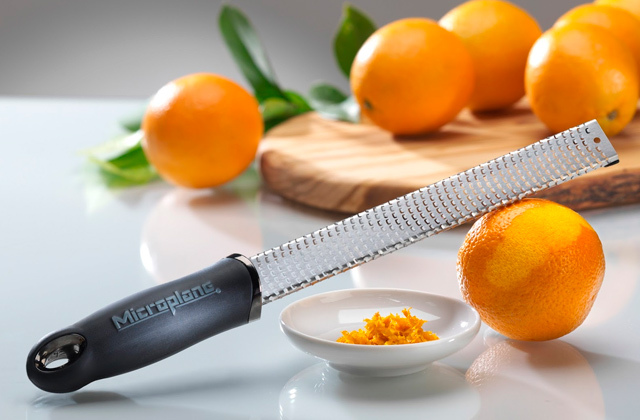 This gorgeous manual frother is a truly versatile and valuable piece of kitchen gadgetry! In this review, we are going to compare the most popular milk frother machines that are used in cafes and restaurants as well as at home for making coffee with a foamy topping. Of course, milk frothers are used predominantly for the ‘foamy’ types of coffee such as cappuccino, latte, latte macchiato, and so on. 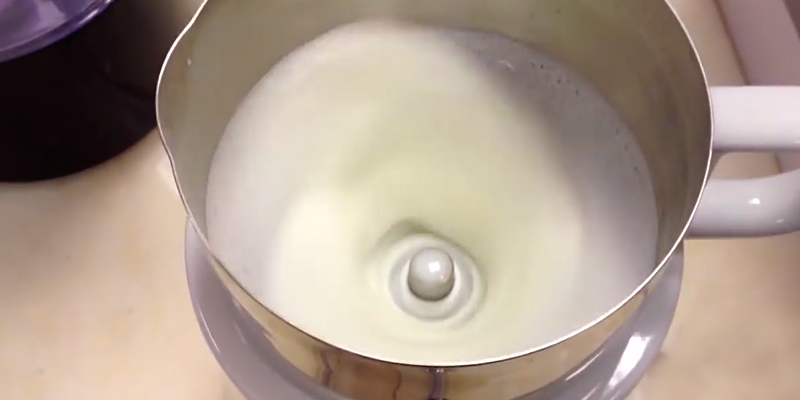 A milk frother allows you to get a delicious and fresh milk foam. There are automatic electric milk frothers that look like carafes and can not only froth the milk but also heat it up. And there are appliances for one-hand operation: you need to immerse them into a cup of hot or cold milk just like a blender. Of course, these appliances are much cheaper but they can’t heat the milk up. 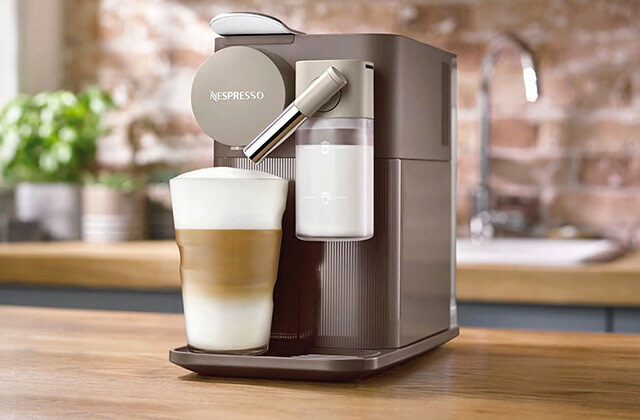 If you do not want to bother yourself with foam making, take a look at our review of 5 best coffee machines that prepare fresh and delicious coffee right from the coffee beans (many coffee machines have a built-in grinder) or from ground coffee. To pre-grind coffee beans, you will need coffee grinders that you are welcome to choose in our review. If you are a true coffee lover, you might have read a lot of milk frother reviews but failed to find the best one, otherwise, you would not be reading our comparison. We have chosen the most popular milk frothers and compared them by the features that are the most important for buyers. The first thing to consider is the Type and Capacity of the milk frother. As we have already mentioned, there are 2 major types of milk frothers: automatic milk steamers that look like metal carafes and manual frother wands (also called handheld milk frothers). Of course, the latter appliances are more affordable but they can’t heat the milk up and that is their drawback. 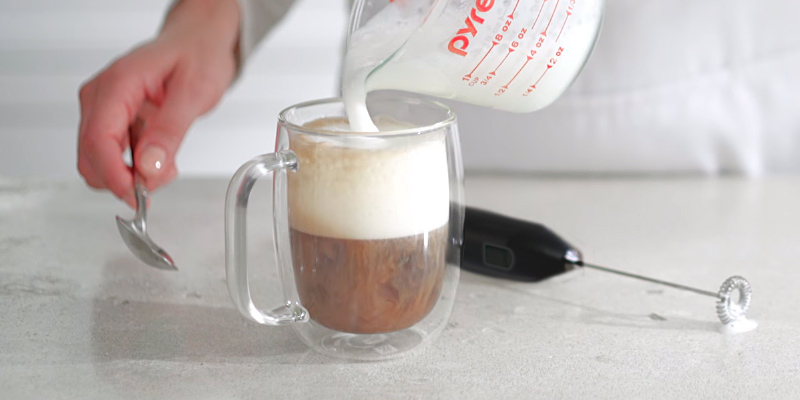 Also, if you choose a frother wand you will be able to froth milk right in a glass coffee jar and then add coffee whereas if you froth milk in a carafe you will surely need to add it manually, using a spoon, for example. If you pick an automatic milk frother and steamer - make sure to check what the Capacity is. If you need to prepare quite a lot of foam (if you are running a cafe or a restaurant, for example), make sure to choose the milk steamer and frother with the capacity of 8.5 oz. (240 ml.). If you want to use it at home, a smaller carafe will also be fine. Keep in mind that you can heat the whole carafe of milk but if you want to just froth it - the necessary volume of milk you must fill in will be a half a size. The next issue to consider is the Frothing Speed of every appliance. Here you should clearly realise how fast it works because sometimes you will not be happy to wait for several minutes till foam is ready or milk becomes hot. If you want to drink a foamy coffee as quickly as possible, buy a frother that will cope with it within just 20-30 seconds. However, most automatic electric milk frothers prepare foam for around 90 seconds. Also, you should pay attention to how long it takes for a carafe to heat the milk up, but it is an additional info. Keep in mind that every automatic milk frother has not 1 but several (usually 2) Whisks: one of them is a frothing whisk used to make a cold or hot foam and another is a stirring whisk (or stirrer) that is used to speed up the heating of milk. The best milk frothers have 2 frothing whisks and they make a foam with a different density, so you can control what foam you get. Finally, consider all Extras every best milk frother from our review provides. First of all, pay attention to the Material every item is made from. Most milk frothers are made of stainless steel but some models have an aluminium carafe. No need to say, aluminium is more lightweight. Also, some carafes or pitchers are dishwasher-friendly which is an important advantage for everyday use. However, most carafes are unsuitable for a dishwasher due to an inner non-stick coating which is very often used in order to prevent milk from burning to the carafe. These carafes can easily be washed in the running water with a simple brush. Next, look at the Controls - you need to realise how easy it is to choose the relevant mode. For example, the best milk frothers have several buttons so it is easier for you to know which one to push. 1. Priya Johnson Useful Advice for Choosing the Best Milk Frother, Buzzle. June 15, 2016. 2. Milk Frothing Guide - Frothing for Newbies & Intermediates, CoffeeGeek. 3. 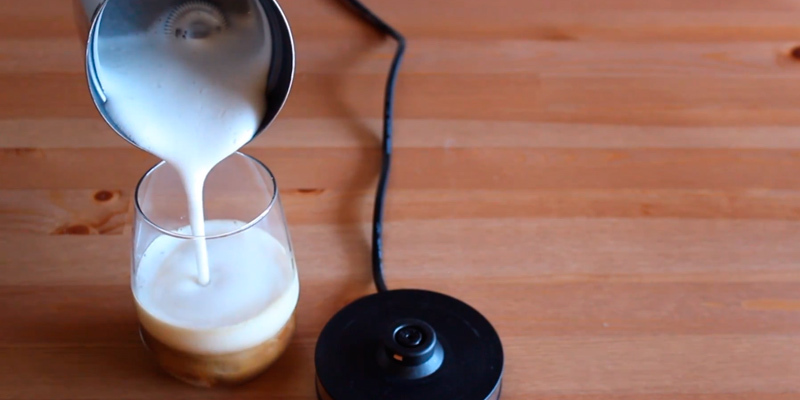 How to Use a Milk Frother for Perfect Coffee, eSpares. December 21, 2015. 4. What is a Milk Frother? wiseGEEK. 5. Katherine Marko What Is the Difference Between Frothed Milk & Steamed Milk?, Our Everyday Life. 6. John-Michael Bosman Our top milk steaming tips, Yuppiechef. July 3, 2014. 7. All About Milk Foam and Coffee, Serious Eats. 8. Christina Blais THE FACTS ABOUT MILK FOAM, Ricardo Cuisine. November 28, 2014.